thanks for understanding! well anyway, I guess it's about time for an update anyway. World 4 and 5 textures are almost done. just have to edit a few minor things. 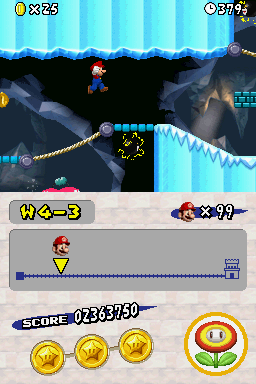 World 3 is about halfway done level wise. The ghost ship is looking really good! I think I design beach levels the best. What would not be that hard tbh. NSMBU wasn't good. Can't wait for full hack! This thread had nothing to show and was therefore trashed by the mods. How would I have the slightest clue that this was still in development? Again, apologies for doing my project the way Cholo is doing, but seriously, I had NO IDEA. nobody would. Anyway, I thought I'd post this to clear up what Luigifan was talking about. Let's get back to the topic of this thread. Might as well post an update. Nothing new really. Ghost Ship in World 3 is almost finished which I am really excited about considering (imo) it's got a really cool level design. Updates. Very Little. I just got off of vacation and had little time to work on this. Anyways... polishing an ice cave level. BTW, if you mind, I could help out with tilesets. Will there be custom Power-Ups,Poisoned Water WiiU Model,Piranha Plants WiiU Model,NSMB2 Sand Model Water,Sand,Lava Fountains like in WiiU Will be Cool! Sadly, no custom power ups. I had that idea and tossed it realizing that it was almost impossible. 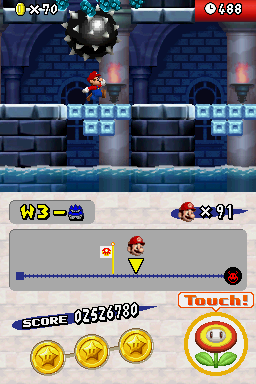 None of the sprites you mentioned (except for water and lava) exists in NSMB DS and would take alot of ASM making them. There will be some retextures to enemies and sprites to the Wii U models though! Like the pipes and boos. I would like to become a beta tester. I tested your hack and I see this on the last area on 1-A. But idk if you have this on a real NDS (I tested the hack on WiiU VC for info). Yeah I do know about that. I fixed that issue in the version I have now. 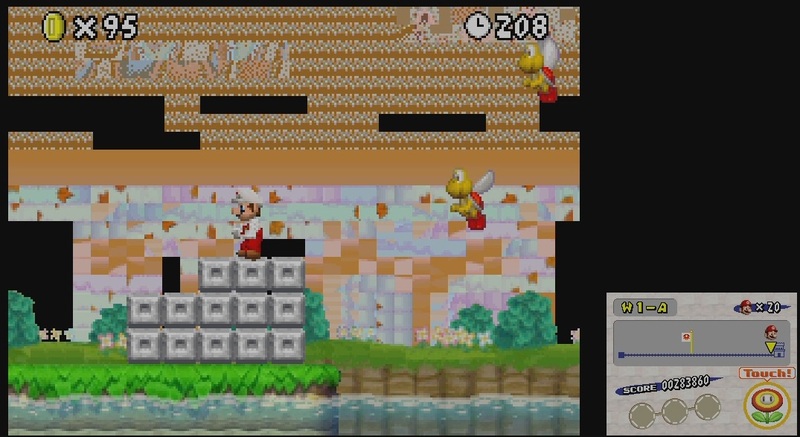 Honestly, I have no clue how a backdrop from Newer got in there and became all glitchy... It was a NSMBU backdrop. just a notice: on the logo, it says "New Super Mario Bros. U. DS?" Update! World 3 castle is done!